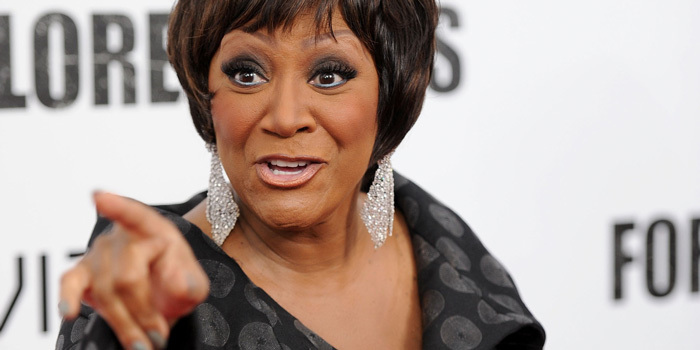 Patti LaBelle is an American singer-songwriter, actress and author. In a career spanning more than five decades, she wrote highly influential music that had a distinctive blend of soul, pop, soft rock, funk, and R&B. Often referred to as the “Godmother of Soul” and the “Queen of Rock ‘n’ Soul”, LaBelle rose to prominence as the lead vocalist of Patti LaBelle and the Bluebelles. She launched her highly successful solo career in 1977, after the group parted ways. LaBelle has collaborated with a number of prominent musicians, including Michael McDonald, Mary J. Blige, Mariah Carey and Aretha Franklin. She has sold more than 50 million records across the globe. Born “Patricia Louise Holte-Edwards” into a musical family in Philadelphia, Pennsylvania in 1944, her father was a railroad worker and lounge singer. Although a shy child, LaBelle showed incredible singing talent, joining the church choir at the age of ten. Her parents divorced when she was twelve. She grew up listening to gospel, jazz and rhythm, blues and doo-wop music. Inspired by the early 1960s girl group phenomenon, Patti LaBelle formed the Blue Belles in 1962. The quartet – consisting of her, Nona Hendryx, Sarah Dash, and Cindy Birdsong – released a string of chart-topping hit singles between 1962 and 1967 for the Newtown, Parkway, and Atlantic labels. Their 1962 rendition of The Basin Street Boys’ song “I Sold My Heart to the Junkman” became a big crossover hit and reached number fifteen on the Billboard Hot 100. In 1967, the group, now a trio after Birdsong’s departure, adopted a harder-edged funk sound. After initially struggling to find success with their new musical direction, they found success after collaborating with Laura Nyro on her critically-acclaimed 1971 album, Gonna Take a Miracle. Once again, at the height of the Disco era, the group underwent another major makeover and came up with the chart-topping crossover hit, “Lady Marmalade”, in 1975. Patti LaBelle and the Bluebelles broke up due to creative differences in 1977. While all three members enjoyed successful solo careers on their own, LaBelle far exceeded the success of her former bandmates, scoring almost two dozen hit singles through the 1980s. A few of them include “If Only You Knew”, “New Attitude”, and “Stir It Up”, “On My Own” and “If You Asked Me To”. She maintained her commercial clout into the 1990s, staying connected with younger audiences with R&B albums such as 1994’s Gems and 1997’s Flame. Patti LaBelle has won numerous awards and accolades in her career, including 2 Grammys, a World Music Award, an American Music Award, and a Rhythm and Blues Foundation Pioneer Award. She was honored with the Lifetime Achievement Award at the 2011 BET Awards. LaBelle has been inducted inducted into multiple halls of fame, including the Grammy Hall of Fame, the Hollywood Walk of Fame, the Apollo Hall of Fame, and the Songwriters’ Hall of Fame. Patti LaBelle was 25 years old when she married her former manager, Armstead Edwards, in 1969. Their only child, Zuri Kye Edwards, was born in 1973. LaBelle and Edwards divorced in 2000, after 32 years of marriage.